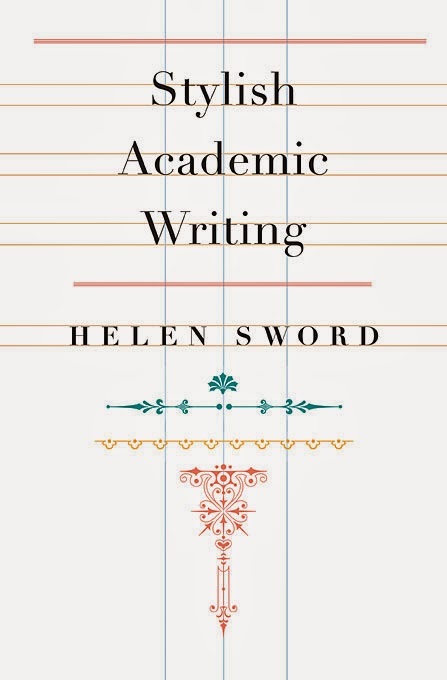 Surprised to discover myself the subject of a "Spotlight on Style" in Stylish Academic Writing by Helen Sword. Thanks to @ctford for the heads up. The segment is about titles (no surprise there) and also quotes Robby Findler, Simon Peyton-Jones, Ralf Laemmel, Sam Lindley, Simon Marlow, Martin Odersky, Enno Runne, and Jeremy Yallop. 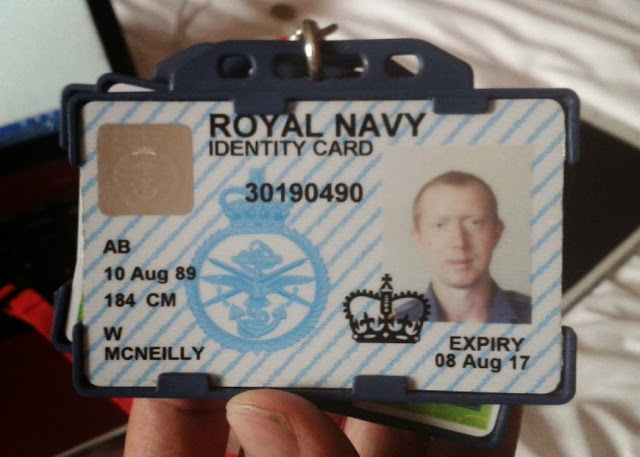 Royal Navy whistleblower says Trident is "a disaster waiting to happen"
A Royal Navy weapons expert who served on HMS Victorious from January to April this year has released via WikiLeaks an eighteen-page report claiming Trident is "a disaster waiting to happen". Original report in The Sunday Herald. McNeilly's report alleges 30 safety and security flaws on Trident submarines, based at Faslane on the Clyde. They include failures in testing whether missiles could be safely launched, burning toilet rolls starting a fire in a missile compartment, and security passes and bags going unchecked. He also reports alarms being muted because they went off so often, missile safety procedures being ignored and top secret information left unguarded. The independent nuclear submarine expert, John Large, concluded McNeilly was credible, though he may have misunderstood some of the things he saw. Large said: "Even if he is right about the disorganisation, lack of morale, and sheer foolhardiness of the personnel around him - and the unreliability of the engineered systems - it is likely that the Trident system as a whole will tolerate the misdemeanours, as it's designed to do." Second report in The National. The Scala team at EPFL is running a Summer School on DSL Design and Implementation, 12-17 July in Lausanne, Switzerland. They have a great line-up, including Martin Odersky, Tiark Rompf, Kunle Olukotun, and Matthew Flatt. I'll be there, speaking on A practical theory of language-integrated query and Quoted Domain Specific Languages: Everything old is new again. I am recovered. My bone marrow biopsy and my scan at the National Amyloidosis Centre show no problems, and my urologist has discharged me. 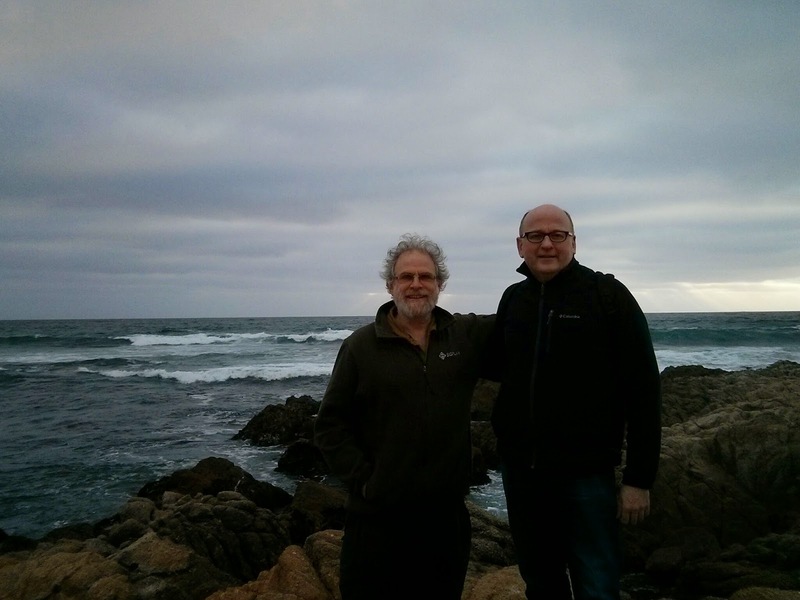 Photo above shows me and Bob Harper (otherwise known as TSOPLRWOKE, The Society of Programming Language Researchers With One Kidney Each) at Asilomar for Snapl. My thanks again to staff of the NHS. Everyone was uniformly friendly and professional, and the standard of care has been excellent. 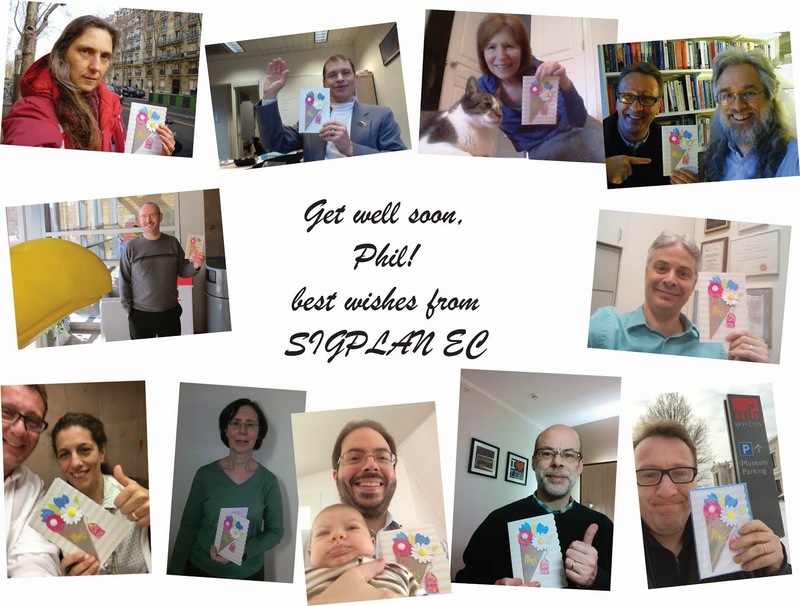 My thanks also to everyone who wished me well, and especially to the SIGPLAN EC, who passed a get-well card around the world for signing, as shown below. I am touched to have received so many good wishes. Related: Status Report, Status Report 2, A paean to the Western General, Status Report 3, Status Report 4. 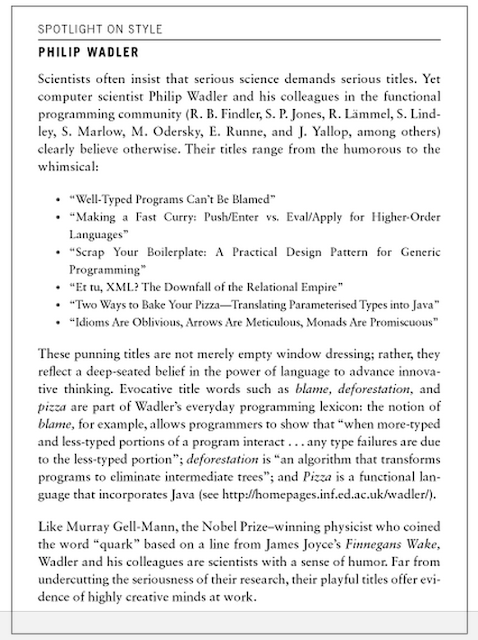 A brief introduction to the hilarious subject of computability theory. Performed as part of Bright Club at The Stand in Edinburgh, on Tuesday 28 April 2015.